Nothing destroys an audience’s appreciation of a small good movie like advance praise. At this time of the year, we’re hyped to expect award-winning productions, big messages, and sweeping emotions, and if the film in question comes with four-star reviews and nouns like “masterpiece,” it had better play along or people will want a refund. By contrast, a handmade human tragedy about the kind of people you see at the supermarket needs to sneak up on you if it’s to work its magic. Even if it’s a masterpiece. 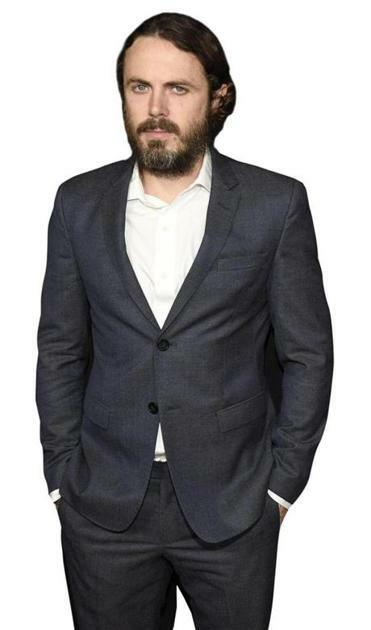 I won’t tell you that Casey Affleck comes finally and fully out of his brother’s shadow and into his own as Lee Chandler, an apartment janitor on the South Shore who’s fleeing from what happened to him on the North. That Lee gets called back home when his older brother Joe (Kyle Chandler) dies of a bad heart, leaving behind a fishing boat with engine problems and a lanky, mouthy 16-year-old son, Patrick (newcomer Lucas Hedges). That when they see he’s back in town, people nudge and point and say “That’s Lee Chandler?” “The very one.” And that, about midway through, “Manchester by the Sea” tells us the particulars of Lee’s past as if disgorging a terrible family secret, so that you suddenly understand why he prefers to sit miles away in Quincy bars, ignoring the women who hit on him while picking fights with the men. I needn’t explain that Lonergan and his cast get the look and sound of people in these parts without seeming to try very hard; that even if you believe there are no real townies in the town of Manchester-by-the-Sea, this movie convinces you there should be; that no one leans hard on the accents except poor Tate Donovan as the nephew’s hockey coach (excuse me, “hahkey coach”); that all the small parts are cast with people who look like they really live here, whether it’s the lapsed preppie small-town estate lawyer played by Josh Hamilton or Hedges as the nephew, a kid who has two girlfriends, a truly awful garage band (“We are. . . Stentorian”), and no patience for his sullen, withdrawn uncle. I could say, but I won’t, that we’ve all seen too many movies in which a lost soul comes out of his shell and rejoins the human race after he inherits a kid from a dead relative. I won’t say that everyone here is more interested in how that might play out if the lost soul was just too damned lost. 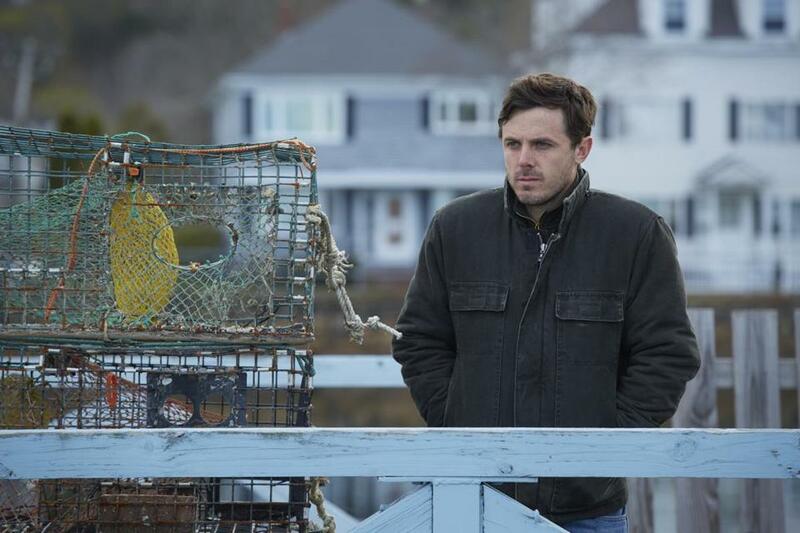 I could say that Affleck’s Lee Chandler, terse, distant, and sardonic, reminds me, and may remind you, of childhood friends who’ve lost their way and never come back; that the sadness of “Manchester by the Sea” is the kind of sadness that makes you feel more alive, rather than less, to the preciousness of things. I could talk about the lovely classical score that is Lonergan’s one false move, in that it matches the movie’s chilly scenes of winter but not the emotional reality of the characters’ lives, not really. But I could also talk about a meeting of Lee and his ex-wife, played by Michelle Williams, that threatens to turn on the suds but instead lets two people who once loved each other acknowledge what they’ve lost. I could talk about Gretchen Mol as the nephew’s mother, another damaged soul climbing back from the bottle one frightened step at a time. And I could talk about the scene late in the film in which Lee exhales in the hush of a nighttime kitchen, looks his fate in the eye, and you realize that you’re looking at a hero, a Sisyphus of the North Shore, and also at a broken man. If I do tell you all this, forget I ever did. Just remember you heard somewhere that “Manchester by the Sea” is an experience worth having, not for the magnificence of its impact or the far-flung grandeur of its settings but for the way it illuminates with quiet, unyielding grace how you and I and our neighbors get by, and sometimes how we don’t. Written and directed by Kenneth Lonergan. Starring Casey Affleck, Lucas Hedges, Michelle Williams, Kyle Chandler. At Kendall Square, Coolidge Corner, West Newton. 137 minutes. R (language throughout, some sexual content). Ty Burr can be reached atty_burr@globe.com.